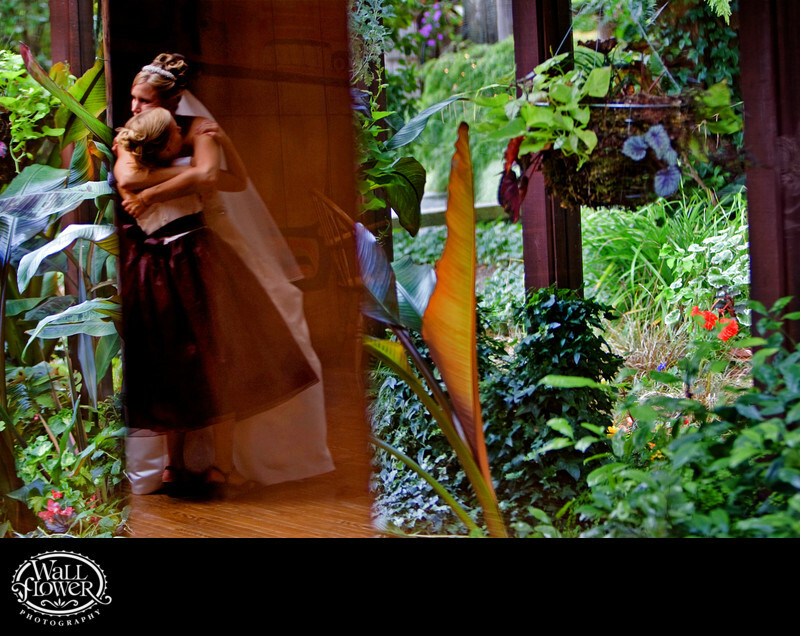 In this award-winning photo, the bride hugs her daughter during her wedding reception at Kiana Lodge in Poulsbo, Washington. What makes this photo unusual is that the scene is reflected in a large window, in a section where the view of the gardens outside is blocked by a dark post that allows for the reflection to be visible. The photo won an award in a wedding photography competition held by the Wedding Photojournalist Association (WPJA).